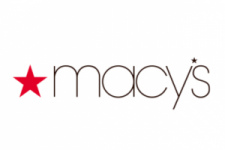 Macy’s Wants To Send You And Three Guests To The iHeartRadio Jingle Ball! PRIZE(S). One (1) Grand Prize. Approximate Retail Value (“ARV”): $4,500 Prize Package will include the following: Flyaway Package to the Macy’s iHeartRadio Jingle Ball Sweepstakes Domestic roundtrip airfare for the grand prize winner and three (3) eligible guests between the major metropolitan airport nearest prize winner’s primary residence and (in the event of any dispute, airport shall be as determined by Sponsor in its sole discretion) to destination airport for New York; 3 days and 2 nights one room/standard double occupancy hotel accommodations at destination; roundtrip ground transportation to and from the hotel and airport at destination only; and four (4) tickets for the Grand Prize Winner and three (3) guests to attend one (1) night of the “Jingle Ball Concert” in New York, NY on the night of December 7, 2018.